After the recent movie, Green Lantern Toys are very popular. You can choose action figures, role play toys or even a cute and cuddly Green Lantern. Do you know a Green Lantern fan? There are lots of them around after the success of the recent movie - even kids who are too young to watch the movie love Hal Jordan as the Green Lantern. Green Lantern toys will be popular this Christmas, so I've put together a collection of the best ideas to save you some time. 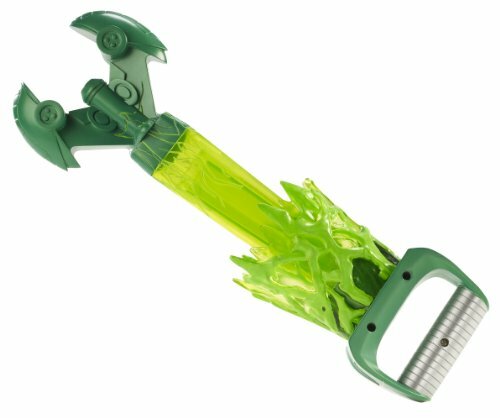 The Green Lantern Power Slingers Cosmic Claw makes a fun gift. Lots more ideas below. The Fisher-Price Imaginext toys are kids action toys that are made for younger children from age 3. 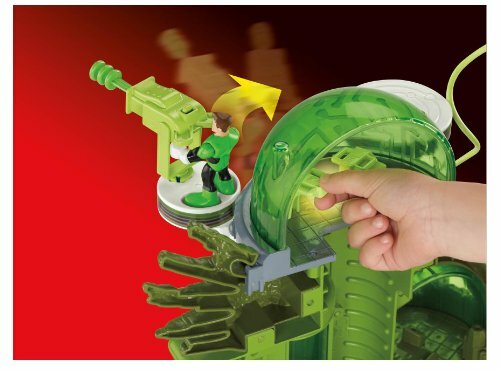 The new Imaginext Green Lantern range is perfect for youger fans of Hal Jordan. Imaginext is sturdy and packed with features that little hands can operate. Have you seen the Imaginext DC Super Friends Green Lantern Toys? Fisher Price Imaginext is an action toy range for kids age 3-8 - sturdy and fun. The Green Lantern Movie Masters Figure is a classic action figure toy. He's 6" tall, has posable joints and comes with his own Green Lantern. 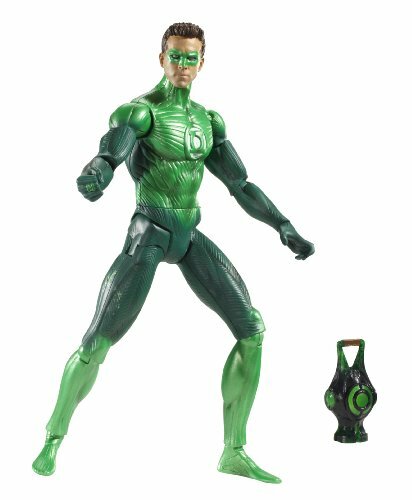 The figure is detailed and you can clearly see Hal Jordan's features. This toy is designed to tie in with the Green Lantern movie so the figures has the Green Lantern movies costume. He's a good toy for kids to play with, and also very collectible by older kids, teens and adults. You can also collection other Green Lantern characters in the Movie Masters series like Sinestro. We love the Funko Plushie range of soft toys. These soft super heroes are around 7" tall and cartoon style. 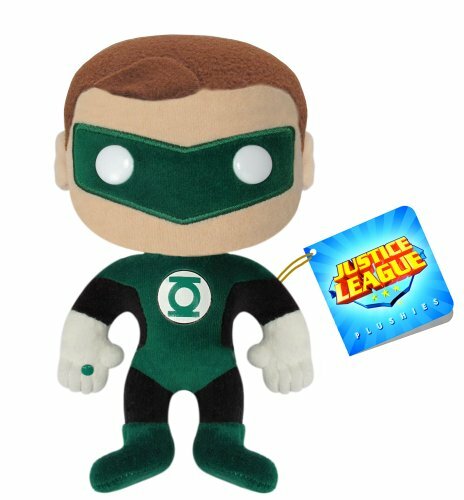 The Green Lantern Plushie is very cute, he has the Green Lantern emblem on his chest and even a mini power ring detail. Very cute! You can collect other super hero plush toys to build up a fun collection of cuddly comic book heroes. We're big fans of Hot Wheels in our house! The boys' Dad had Hot Wheels as a child and having kids has been an opportunity to rebuild his collection! We've found that the modern Hot Wheels sets are pretty good. Out five year old can set up the tricks on his own and the 3 year old has a good go. They seem sturdy and we've had lots of fun with them. The Hot Wheels Green Lantern sets are very cool. The track is actually green! You get a Green Lantern Hot Wheels die cast car and a cool double loop track. The Green Lantern Colossal Cannon Blaster is a run action role play toy for kids who want to pretend to be the Green Lantern. 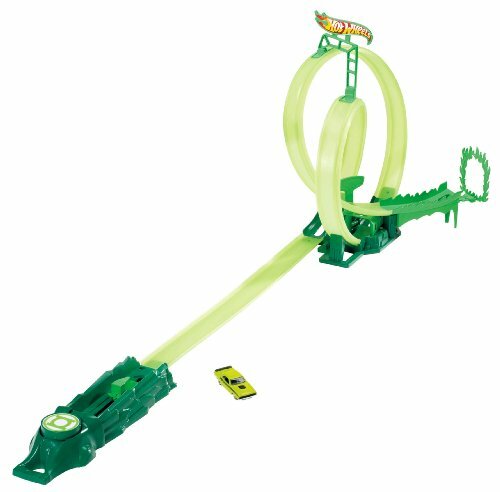 The Cannon Blaster has a rotating chamber. You pull the trigger to fire discs at your enemies. The blaster comes with 10 discs. 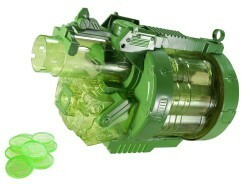 The Green Lantern blaster also has lights and makes weapon sounds. 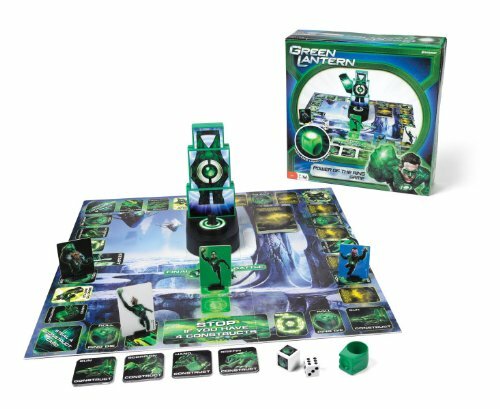 How about a Green Lantern board game? Great for family get-togethers and sleepovers with friends. In the Green Lantern board games you need to master the four constructs so you can defeat parallax. When you've got the constructs plus the green lantern ring you must get to the lantern. If your power ring lights up then you've won. The game is for 2-4 players. Lego have announced that there is a new range of Super Hero Lego coming in 2012 and it will include the Green Lantern. Exciting! At the SDCC conference there were some limited edition Hal Jordan / Green Lantern Lego minifigures distributed. You might be able to get hold of one of those if you can't wait to get your hands on Green Lantern Lego. I love to see my boys dressed up in cool pajamas! Green Lantern is a popular super hero at the moment so let's look at some Green Latern pajamas for kids.